Archaia, an award-winning imprint of publisher BOOM! Studios, invites you to pull on your racing gear and rev up your engines this December for the new sci-fi adventure series Rocket Salvage. Creator/writer Yehudi Mercado (Guardians of the Galaxy: Universal Weapon; Pantalones, TX) and artist Bachan (Imagine Agents) give new meaning to the term “space race” with this six-issue limited series about a disgraced former rocket racer named Primo Rocket and his clone kids as they take off across the galaxy to escape the alien gangsters targeting them. 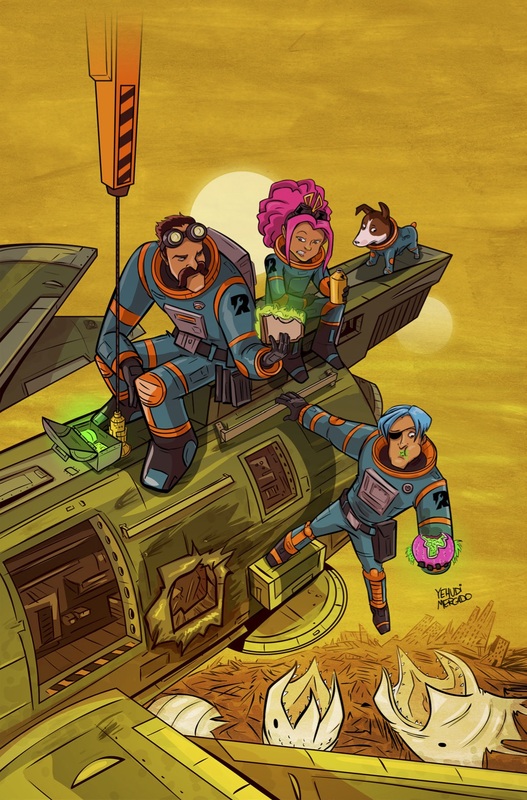 Primo Rocket was the fastest racer in the galaxy until a crash changed his fate and that of his space-station-city home, Rio Rojo. Now, Primo is the owner of a spaceship salvage yard with his two “kids,” clones Beta and Zeta. But everything changes after they become the target of a manhunt leading them on a string of intergalactic adventures. It’s up to this dysfunctional family to stay together and, ultimately, save their home. 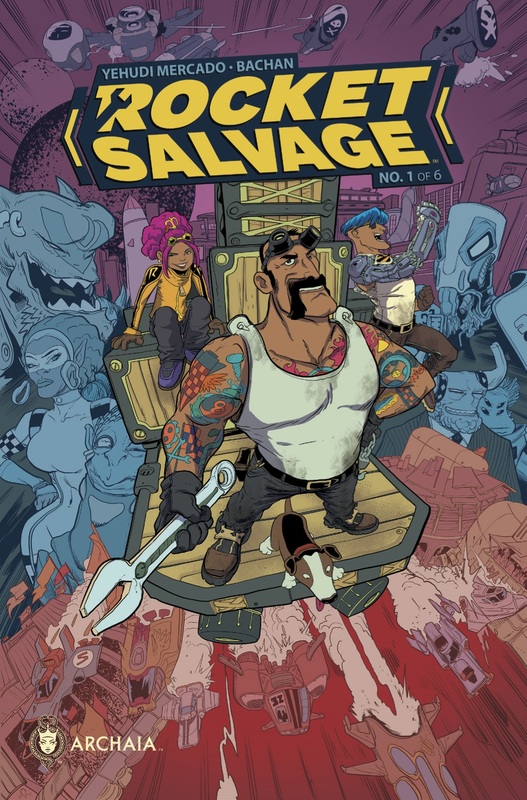 Rocket Salvage#1 arrives in comic shops from Archaia on December 17th with a cover price of $3.99 under Diamond order code OCT141161. The main cover is illustrated by series artist Bachan, with an incentive cover by Yehudi Mercado. The Final Order Cutoff deadline for retailers is November 24th. Not sure where to find your nearest comic retailer? Use comicshoplocator.com or findacomicshop.com to find one! It’s also available for order directly fromboom-studios.com.